As pointed out to me, by my dear brother Jason, I have not posted an update in some time. SO, alas, I shall fill you in on what has been going on in my life! 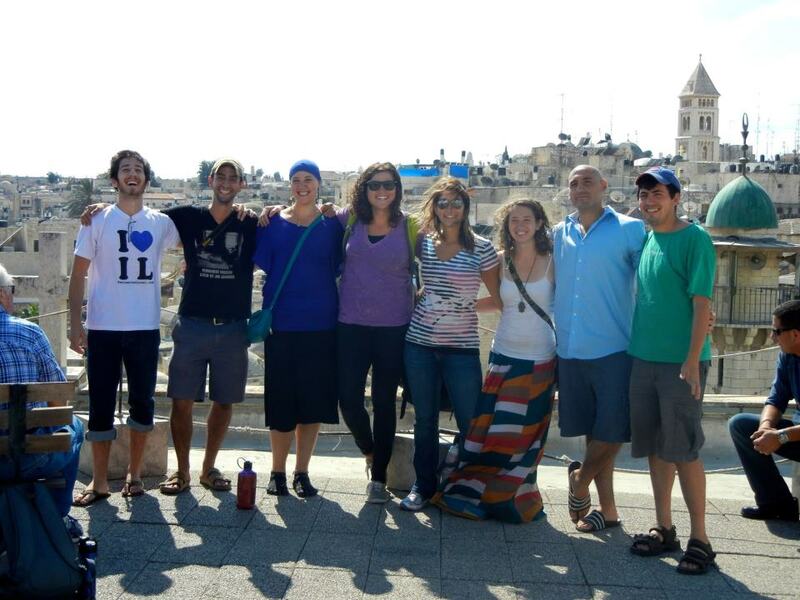 Jerusalem: My group went on a day trip to Jerusalem last week. On Thursday we toured the old city and the different quarters lying within. 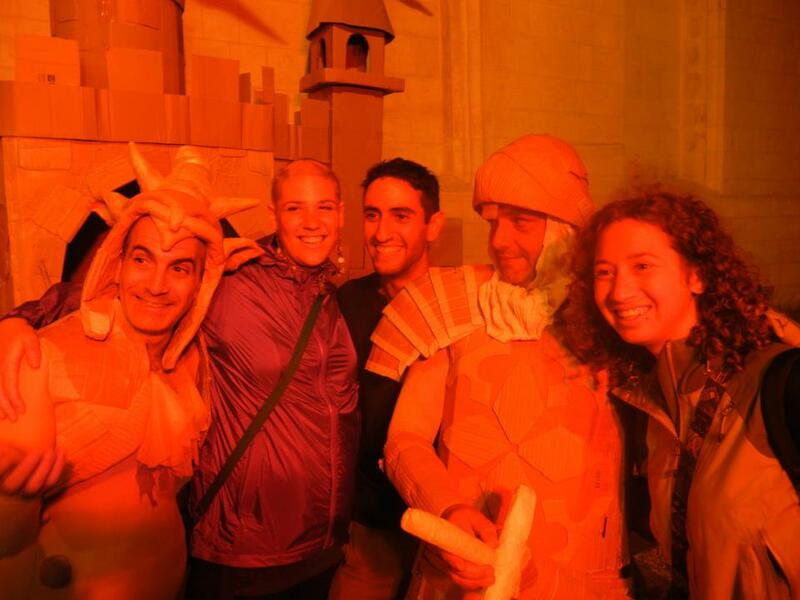 At the Festival of Knights. Red lights, galore. I spent Shabbat with a friend of mine from California, and it was really one of the most special Shabbat’s I have had thus far. I went to shul at a beautiful, spiritual service called Yakar, where I hope to go again, one day soon; I had Shabbat dinner with friends I didn’t realize would be at the dinner table; I ate lunch with old friends, and I started reading the Tanach! I now find myself amazed with the Torah and the stories I read as a child, but have not read, verbatim, since then. Tzfat: I went to visit my Aunt Marci and Aunt Sherri in Tzfat when they were in town. This was a really special time for me for many reasons: (1) Seeing family in Israel is very special. There are obviously times when I feel homesick, but that is not really a feeling I tend to focus on, because in truth, I have been living away from home for quite some time. Seeing my family, here, though, really felt special and right and comforting. (2) I absolutely love Tzfat! I had chills the entire time I was there! (3) It hurt me when I left Tzfat. My soul, actually felt like I was leaving somewhere I shouldn’t be. I have not felt this way in a long time, and I know there will be more time spent there, once my program ends. 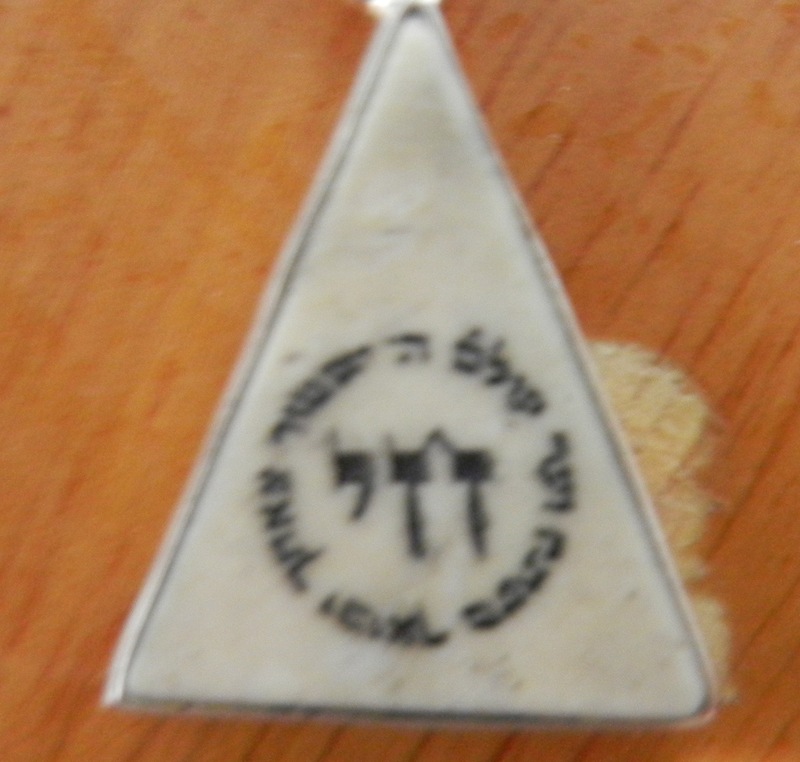 In the center, this necklace reads “Chai” in Hebrew meaning life. My name’s initials also happen to be “Chai.” Around chai it says something along the lines of, every journey I go on, Hashem is with me. The triangle is made of Jerusalem stone. There is talk of me beginning to do some work on a nearby organic farm, though I have not seen any action in this area. I am also talking with the community center about leading some cooking classes there. This too has not yet come to fruition, but there is talk taking place. I am really enjoying teaching English to the children at my elementary school, and they seem to be enjoying it as well. Next week I will post a video of the song I taught them! Last week we commemorated the death of Prime Minister Itchak Rabin. He was a man who sought after peace, and the energy in Israel, experienced by all on this day, was one of sadness. I ended up singing a song at the reception at the community center. If you’d like to watch it, here it is! We love hearing about all you’re experiencing and… I second what Dad said… LOVED speaking with you today! Always enjoy our phone / Face Time talks!!!! Love you sooooo much!! !